There are those days when I just want comforting carbs to fill my stomach then a little voice of wisdom reminds me that a girl cannot live on carbs alone and maybe some vegetables or protein would be good too. 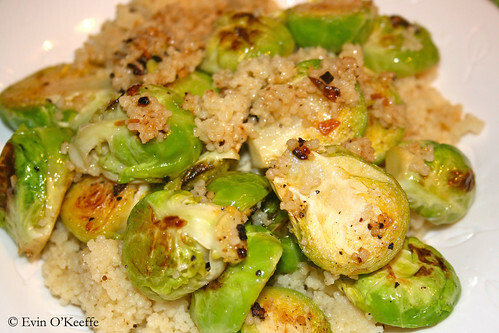 That’s when I decided it was about time Brussels sprouts and couscous got together on my plate. Here’s the recipe I came up with to make it a tasty adventure. This entry was posted in Lunch | Dinner and tagged side dish, vegetable, Vegetarian. Great recipe. I’ll cook this for dinner tonight for my family to enjoy.